RoboFlail Equipment at RT Machinery. We only sell top quality RoboFlail products. 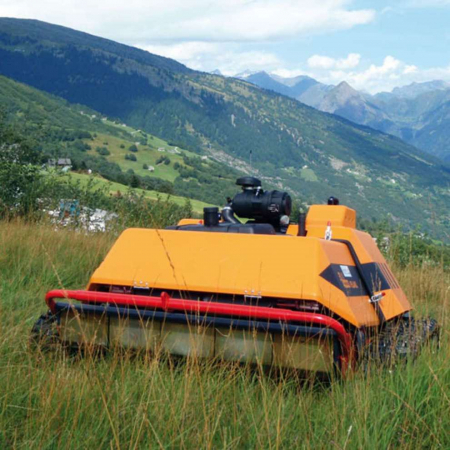 One of the worlds toughest Robotic tractor and mowers and fitted with “probably the best and toughest” rotary decks from Scag. The Roboflail has been around for a while and the continued success and repeat orders come from using the best components and technology that experience provides. 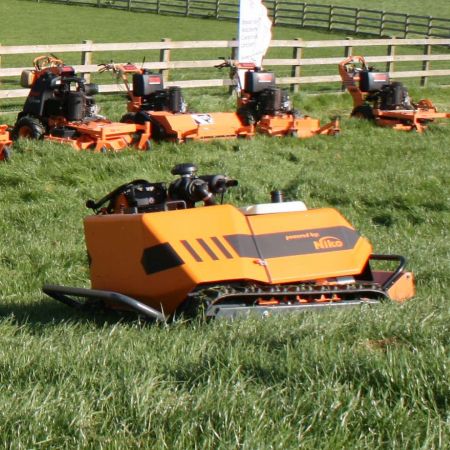 The simple fact that a combination of Scag blades, open front and rear of the deck and rubber tracks means you can cut grass in forward or reverse drive. Not only does this save lots of shunting around, it also means less turns and less soil disturbance, after all, it’s mowing we want not cultivation! Just a minute though, the RoboFlail Vario even has a three-point linkage so you can mow, woodchip, rotovate, whatever you like with 38hp of Yanmar diesel power. 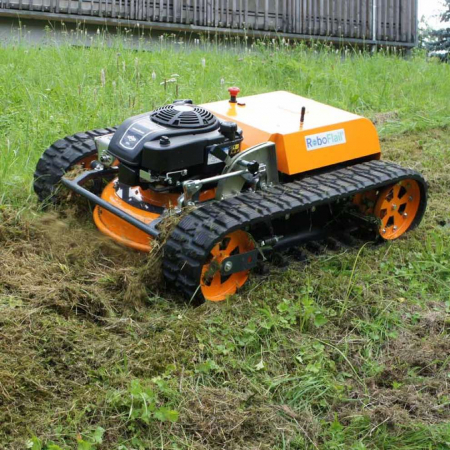 With RoboFlail models available in petrol or diesel, there is a machine for most budgets and all the slope, bank or traffic management areas you might have airside or kerbside anyday. Explore key items from our RoboFlail range. 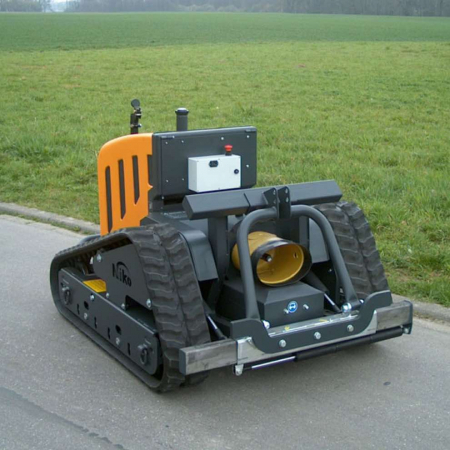 Browse our range of used RoboFlail equipment.